A common mistake is to use Items inconsistently. I will admit that in my early QuickBooks, I was guilty of this. Let’s use the example below of lighting fixtures. 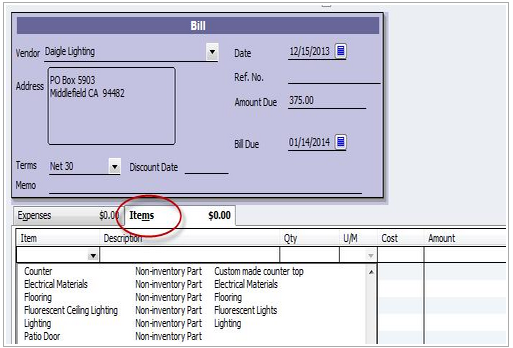 On the Invoice, you have no choice but to use an Item, but not on the bill (or check or credit card charge). You have a choice of using either the Expense tab or the Items tab. 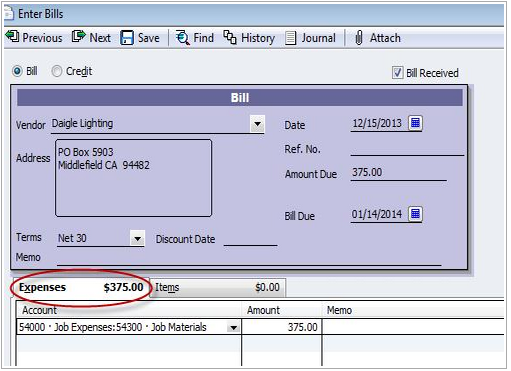 Most people use the Expense tab and select the expense or Cost of Goods account (like Job Materials). While that may be the correct account for that expense, your reports will be inaccurate. 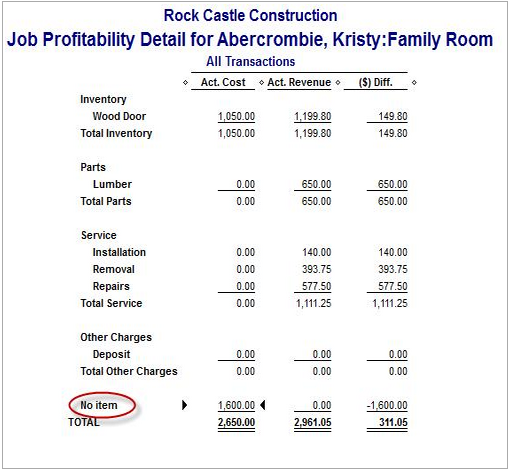 This particular expense won’t appear at all on the Item Profitably report (because no item was used) and it shows as “No Item” on the Job Profitability Detail report. When do you use which tab? A good rule of thumb is to use the Items tab when it’s for a customer job/project. When you use the Items tab, you can then select the appropriate Item from your Items List. 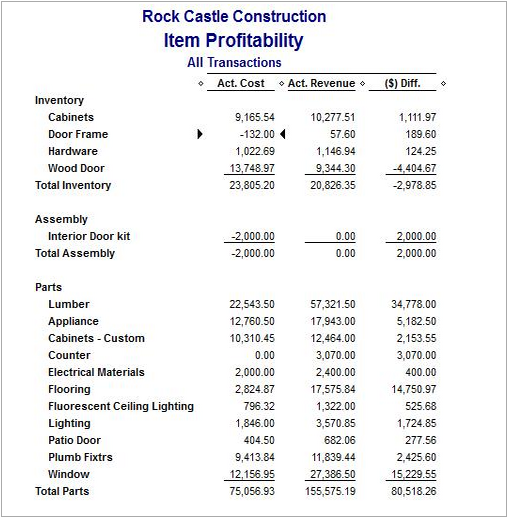 So for those of you who work with projects or jobs, take a look at your Job Profitability Detail Report and see if you have any “No item.” Then take a look at your Items Profitability report and double-click on the various items to see if you are missing expenses. Once you start using this new system, your reports will start to be more meaningful and accurate. 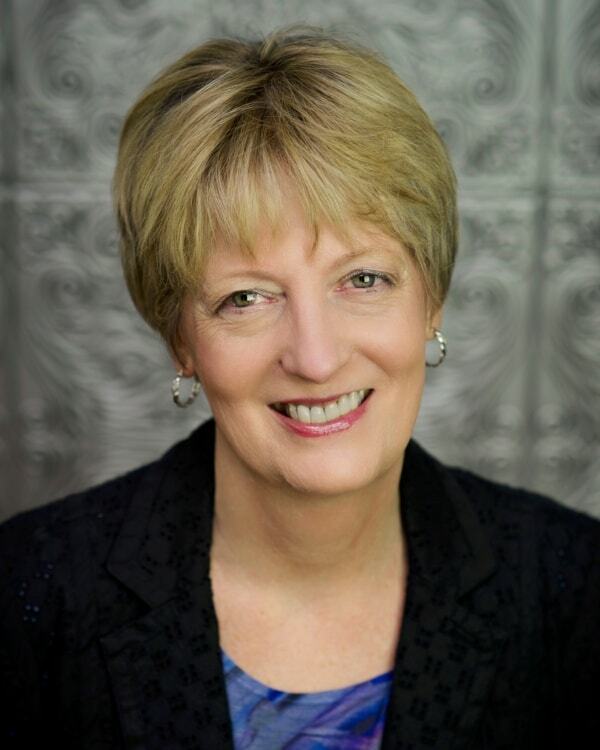 Monica Muir, owner of Muir & Associates, has been working in QuickBooks for 20 years. Advanced Certified in QuickBooks and an Intuit Premier Reseller, she specializes in helping contractors job cost better and streamline workflow through training and consulting. She has spoken at several landscape conferences (state, regional & national), and often writes for contractor publications.